When it comes to problem areas on the face, we’ve all experienced breakouts, dry skin, blackheads, and splotchy skin. Some unlucky few experience all of these things in a given week! Between acne washes, pore strips, and masks, it can be discouraging when nothing really seems to work on your skin. 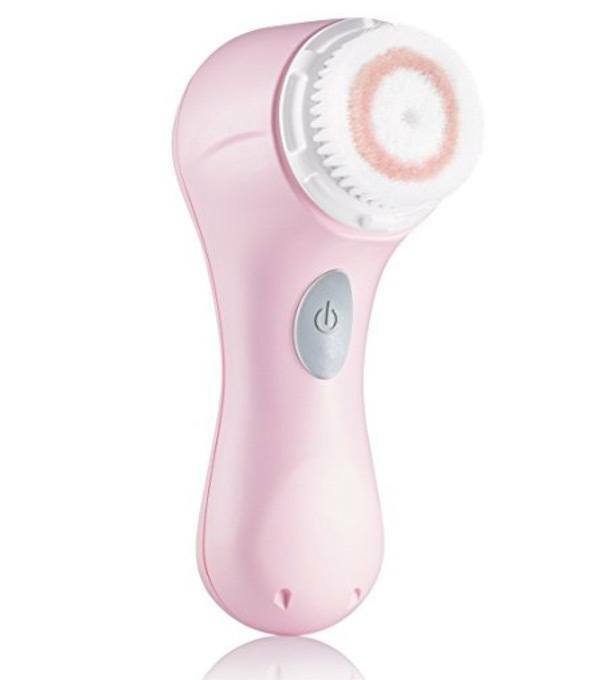 The Clarisonic Mia 1 scrubber aka Speed Sonic facial cleansing brush is a unique product that will give you clearer skin within a few weeks. It’s easy to be skeptical, though, when other products never work. The Mia uses a sonic frequency while providing a scrubbing action on the skin. Users report that they have never felt a clean like they experienced with the Mia. It cleans the face six times better than if you were to use your hands. After removing the Mia from its box, utilize the cord that was provided with the product to ensure that it is fully charged. The Mia is portable, so once it’s charged, you can remove the plug and bring it anywhere with you. It’s great for scrubbing your face in the shower. The Clarisonic Mia comes with a radiance brush head and trial size cleanser. You can stick to your own cleanser if you like. It’s best to stick to the same product for an extended period of time. Once the Mia is charged fully, rinse the brush and wet your face. It’s recommended that you remove eye makeup by hand. Don’t use the brush near your eyes. Add the cleanser to your face or the brush itself. It’s your preference how you’d like to add the cleanser. This may evolve over time, too. You might find that you like to wet your face and add the cleaner to it then brush with the Mia. Glide the brush gently over the face. Start with the forehead and move down the nose and chin. Lastly, skim the brush over your cheeks. Clarisonic recommends between 10 and 20 seconds in each area of the face. There’s a timer that will shut down the Mia when it reaches 60 seconds. Mostly, people turn the Mia back on when they hit the timer if they want to wash their face for more than one minute. The brush head should be replaced three to four times a year. Even with frequent cleaning of the brushes, oil and dirt from your face will start to build on the brush. There are also different types of brushes to purchase for the Mia. People that previously had acne are seeing amazing results with the Mia. The manufacturer suggests that anyone using the product understand that within a week or two, they might see some “purging” of the skin. This is caused by the dirt and oil being released from deep under the skin. It can cause breakouts, which might make some believe that the product doesn’t work. It actually means the brush is working as intended. Allow the Mia to do its job for more than a few weeks, and you’ll see that your skin will be smooth and have an even tone. The brush itself doesn’t spin, although, it looks like it should. The middle part of the brush will actually vibrate, which causes less friction and abrasion to the skin. The oscillation of the bristles flushes the pores and deep cleans them. This allows the pores to become minimized over time. The sonic system will even out your skin tone because it’ll smooth and reduce inflammation from acne as well as leave a clean palette for your facial creams and lotions. The problem that most people have with their creams and lotions is that they don’t understand the dynamics of their skin. When you provide a clean slate for your beauty regime, you’re able to see what works and what doesn’t. The manufacturer doesn’t give definitive numbers on the amount of hours that the battery will hold a charge. Most people talking about the product have mentioned that they can go weeks between charges. This makes it great for travel, too. You don’t have to worry about lugging around the charger or worrying about conversion plugs in other countries. The Mia doesn’t come with a travel case, but there’s no reason you can’t add the Mia to your toiletry case. It’s compact and not bulky at all. Perfect for travel. 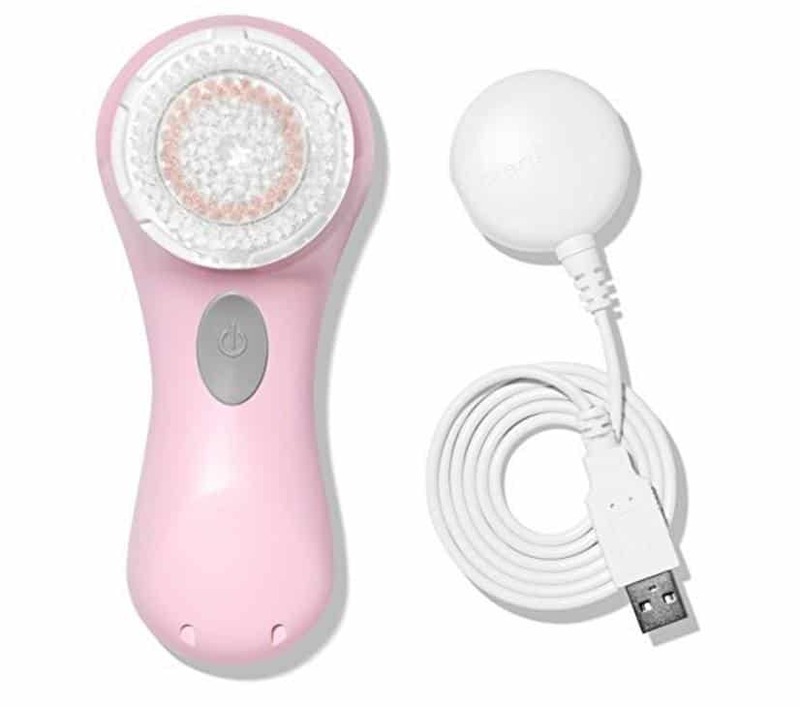 The Clarisonic Mia 1 is an incredible tool in your beauty arsenal. With this cleansing system, you won’t need to buy tons of acne cleansers, pore strips, or beauty masks. Consider this when checking the price as well. If you never have to buy other products, over time, the Clarisonic will be saving you hundreds of dollars in products that don’t work at all.